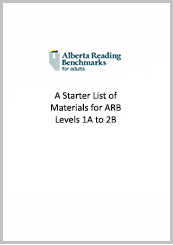 On this page you will find a summary, video and practical resources that link to Level 1A. At Level 1A, readers are beginning to acquire the basic pre-literacy skills they need for reading. They are building letter-recognition skills and mastering the sound-to-letter correspondence in the English writing system. Most reading tasks are beyond readers’ capabilities at this level but they may be able to recognize simple words in their daily surroundings if they are displayed clearly and prominently. Please note the following links will display Level 1A content of the resource. 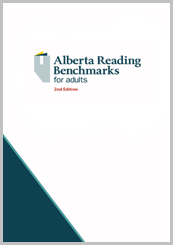 This is a guide for teaching reading to adult literacy learners. 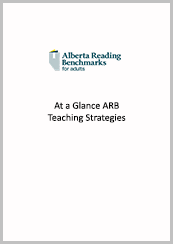 It has many practical teaching strategies for ARB levels 1A to 2B.